Connecting to your BT Internet and Mail services should be without problems most of the time, although some would disagree after receiving a lot of issues with BT email servers offline more than they’ed like. If your Samsung, Apple, or other branded device won’t log on to BT email and it’s down today for you, then others will be leaving their status updates below. You could have seen the service branded as, “BT Yahoo Mail” and this should come with a new faster service through BT Mail. When btinternet.com, or social account deliver outage and maintenance details, then our editors or the Product Reviews community will provide updates to help with current problems. Is BT Yahoo Email down on Thursday April 25, 2019? If you cannot login to to BT email, or you are receiving server offline messages, then share exactly when and how this occurs below. Also, when downtime takes place you will know if you’re not alone by looking at feedback from the community. I cannot access BT Mail – the link to inbox simply goes to the BBC advertising page. It was OK yesterday. Exactly the same issue. I have had no outlook since 5 April (phone and website work fine) due yet another call back today – will let you know if there is any progress. My God this serial downtime with BT mail is past being a joke. Webmail still works, access from Ipad still works but not from Outlook on work computer. This was down over the weekend, then it was working yesterday and now today down again. WTF is going on?? I reported a scam email on BT Yahoo last week which was sent to me and several other BT Yahoo customers publicly showing their email addresses! I reported this to BT they have NOT responded! Since this problem my Mail is very slow and takes over 10 minutes for mail to load even when it says it is on the inbox, it will NOT show or open! Is anyone else experiencing similar problems? Can’t open mail on iphone and no BT it’s not me,as I can get it on my iPad . Can go direct on line to yahoo,not going to be touching anything as I know I’ve changed nothing. It will just be hassle. Just have to wait it out. Samsung Galaxy Cannot connect to server. Past 4 days in Essex. Connects to AOL with no problems though. Dec 19th 21:45 Cannot send BT Mail messages via IOS mail. BT webserver ok. Access unavailable London SW1 for the past 3 hours. couldn’t login on 28th Nov but it was ok on 29th Nov. Now on 30th Nov same problem. How can this be? Why don’t they tell us what the problem is? BTYahoo mail format has changed this week (beg 08 Oct 2018) and now I’ve had two reports back to me of spoofed emails. The hunt to change my password was unbelievable, and I don’t for one minute believe it is my doing, but BT or Yahoo servers. I’m gone. Logging into BT mail been getting slower for past week, now need to go through main page the one that tries to sell you all the tripe you don’t need & STILL making all the claims how good they are. Yes can’t log in with short cut at all, live BT chat (that’s a laugh) earlier, one guy Amit told me how to create a short cut !! LOL then Lavisha a little later told me there IS a fault with BT mail. Whats new though I’ve had issues with BT LONG before internet….pathetic WHEN WILL IT BE FIXED BT ???? No BT/Yahoo mail or into my Apple mail since after midday. Iâ€™ve changed nothing. I hate this as itâ€™s always a big chore! Am currently in Spain. Drove through France with no problems, and for two days in Spain also no problems. Where I am at the moment, BT email doesn’t work with ANY mail client ( I usually use Mac Mail but have tried several others). The mystery – I have email accounts with three other providers for different purposes. All of these work perfectly. Only BT’s service is refused. Also I CAN pick up my BT emails by logging into BT web mail ,and also on my iphone via the Yahoo app – with the disadvantage of having to accept irritating ads. Since I already pay BT for the service, I don’t think I should ever have to put up with ads in order to get my mail. BT seems to be a mess – and a slightly dodgy dealer. as well. Altogether rather poor. I have been having problems with BT Yahoo emails on Outlook 2016 for a few days and it was easier (I thought) to delete the account and re-install. It is now working fine, but I have lost all of my Sent Items. Am I able to retrieve these in Outlook or have they disappeared for ever, does anyone know? Just changed phone temporarily. Canâ€™t get log into bt accounts via apple mail. I set it up as usual; add account, select yahoo, I insert email/password then get directed to bt site to input email/password again which gives an â€œuhoh something went wrongâ€ message and refuses to go further. Ugh. Â£5 a month for this!!! having a weird problem today. I use live mail 2012 as my mail server and up to today all was fine. I have a main BT email address and a sub address(only the 2). As of today I can send and receive on the sub account but not the main account. If I access my main account via Webmail all is fine, but not in live mail. I have checked ALL settings and they are EXACTLY the same for both main account and sub account. I have checked ALL the pop settings are correct and they are. I have deleted the account and then re-installed it, still nothing. I have tried both POP and IMAP and still nothing??? Anyone got any other ideas that I could try??????? Suddenly BT Yahoo email not working on Apple iPad & MacBook – am asked for password which is then rejected …. my elderly Blackberry Curve has no problem with my BT Yahoo account. VERY FRUSTRATING? My BT Yahoo email ( which comes into Outlook) has not worked for 2 days now ; it just keeps on presenting the password box – if I put in the password it just keeps popping up. My webmail is working ok. I had this problem 6 months ago – I spent a whole day in calls to BT who said there was ‘no problem’. One person suggested it was because I have my email with BT but my phone service/ braodband with Talk Talk. I explained that I have had this email for over 15 years! I then spent another whole day wasted talking to Microsoft about ‘Outlook’. Nobody could get the mail to work. Then miraculously after tearing my hair out for 3-4 days it all started working again. This time I have no intention of calling BT to be bounced around from pillar to post by scripted call handlers who all say the same thing and get absolutely nowhere. I will give it a week and then I will give up my 15 year old email and walk away from BT – somehow it feels quicker to get a gmail account and let everyone who knows me what my new email is. Better for my sanity. BT will never have my business again for anything. For no apparent reason I can no longer get mail out using Outlook and BT internet. Has been working fine for months. Mac has not been swirthed off, no change to settings, but error message for outgoing mail requesting password which I enter correctly. Email coming in OK. Have spent 2 hours talking to BT who insist it is an Outlook problem and not their server. I disagree! Having problems for a month getting emails on my android phone and tablet. It’s got worse the last 2 weeks haven’t seen any since 10am yesterday! Contacted by via chat they told me it’s not their responsibility !!! Useless. Had this problem periodically for at least 2 years with Eudora. It eventually rights itself and I can login to online mail. Paying for a premium e-mail address as I wanted to keepmy btinternet address but not for long now. When I get home from Spain I am off. Since Iâ€™ve been in the US impossible to access mr email via Outlook or Mail on any device. Three days any numerous phone calls w BT have resolved nothing. What can be done. Get your Service SORTED or we will chance service provider!. It has been 3 days since we got decent internet!! i haven’t received any emails today on outlook and on my android. Can’t get my btinternet email through the Samsung email app but can get it on the browser. Anyone having problems with BT Yahoo Mail down this morning? Let us know your status. It is a problem! Asking me checking â€œincomingâ€ details but I changed nothing! It stoped working since 7yh February! Any help!? Still telling me that BT Mail is down. How many billions do they make ? Havenâ€™t changed any setting but my email account on my phone wonâ€™t send or receive any emails. Any ideas? Helen! Post that on Twitter too! For BT â€”-you are right â€”-the details are prepopulated! Agree that something somewhere is not quite configured correctly and trust me it is not my end that is incorrectly configured. If it worked yesterday it should work today. I have had the same problems listed below on and off for the last 18 months and it is very annoying. From Outlook with failing password and not being able to log into either my BT account or Email account online.As of right now both accounts are locked and I have to wait for 15-20 minutes. I even added my mobile for extra security. Both BT and Email use different passwords and I keep these passwords safe in a TXT document, so I know it is not me. If this persists I might undergo the pain of using Gmail or something else similar and then update all my personal accounts with the likes of utility companies, bank and even all my contacts with new email details, that would be a pain in the rear end. I agree with the recent posts. Trying to use Outlook as a mail client with a BT email account is practically impossible and unworkable. what IS going on here? Iâ€™m abroad â€”- and your site with customer care and Chat does not loading!!!! Hello!!!! I left BT over 2 yrs ago, for broadband, kept my emails with them. Costs Â£5 a month – terrible email service! Emails are transferred to Yahoo and a Yahoo account was set up for me – without my permission! Yahoo harasses, stay signed in, I didn’t sign in to Yahoo I signed into BT! Have the same problem as many others, getting logged out! Can be typing an email, getting a tea or just gone to another web page and I’m logged out. Go to login and there is Yahoo’s web page! Sickening! It’s as bad as any malware! I consider it hacking! Unable to log in to anything BT or get BT support for emails. But, BT can still take my money! Would not recommend BT at all! When I had BT broadband it was so bad the whole village was up in arms over BT broadband! Takes some seriously bad broadband to end up on the table at a Parish Council meeting! There is no BT Customer Service and all queries lead to an Indian call centre! Indian call centre is not equipped to deal with all BT problems! They have no idea about BT emails and say Yahoo is part of BT – even owned by BT has been said! I’m not stopping my Â£5 per month payment it is proof that I’m paying for an email service from BT! Step up BT and look after paying customers! Yet again problems with my BT email account connecting to IMAP server. Can’t access via Outlet as keep getting sync error messages. Have tried changing my BT password to no avail. Once again BY support is useless saying not their problem and can access using webmail but don’t want to have to continue to login to BT webmail continually. Have a bctemail account and have not received any emails since middle of last week – today is 15.01.18 – if it wasn’t for my wife’s gmail account we would be in a complete mess. Anyone having similar problems? this post is on my husband’s behalf. I’m coming to the end of my tether and my BT contract. BT have now decided we have to sign in every time we open our computer (not the same for phone or tablet), and today it crashed in the middle of typing an e-mail. It was back up and running after a few minutes, but as far as I can tell there are mini crashes. I too, at various times have had to re-set my password, and end up very confused about which one to use as at times none seem to be accepted, and then suddenly I find one that is now working. Seriously thinking about changing provider, but maybe the devil one knows …..
Agree about changing supplier but why let BT off the hook! Lets make BT sort out the service that was agreed and we are paying for! Compensation is in order too! We have been without! I have the same problem with bt has anyone got a timescale for this fault being fixed. Today is the eleventh consecutive day I have been unable to access my @btinternet.com email account . I have the same problem thankfully ok in the laptop via outlook. Out of U.K. at present and using BT yahoo mail on iPad and iPhone. Canâ€™t logon and was prompted to change password on a desktop device but when I try in hotels or Internet cafes the reset password api wonâ€™t load. No mail access for three days so far. What in the world are you popping up for? BT doesn’t care!! Don’t let BT off the hook! Cannot log in via email client on PC here in sunny Northern Ireland – BT messages state server error try again later!!!!!!!!!!!!!!!! This is a frequent occurence. no problems with other email providers. Can log in to BT Yahoo website, but message reading, opening, deleting etc very slow and clunky. And they wonder why I am not using my free GBs of BT Cloud! Just joined BT premium mail. I had previously BT broadband acct but has since closed. I was able to access emails through outlook/ipad until my BT broadband account was closed. So I signed up for BT premium mail. Still, I can not access emails either through outlook or ipad. Error message says mail.btinternet.com server is not responding. Very disappointed with BT service. They couldn’t care less… they say this is outlook/Ipad issue. Not their issue. this problem has happened since Dec 24th. Like everyone else I cant access my email from my PC using Outlook (this happened from 12th December onwards). I can no longer access it from my mobile either – 28th `December onwards. BT totally helpful. Basically they don’t care about third party software. We are being forced to use the web browser and their very user unfriendly email software. “Cannot get mail” message now since last night on my main account which unfortunately is btinternet.com. gmail and iCloud accounts sending and receiving perfectly well. I use iMac, iPhone and iPad. Same problem on all devices. Had this problem a few weeks ago. Was told it had been sorted but once again cannot send of receive mail except on the web browser. No access in Outlook or on IPhone or IPad. Apart from odd hours in middle of night. Can see emails on weebsmail but not via Outlook Express, MS Live Mail on desktop or on my mobile phone. I can log in, but every hour or so I am lovked out and told to log in again. This has been going on since Tuesday 19th December. For the past few days, my Samsung Tablet cannot connect to BT Mail. The Error Message is “The application is having trouble connecting to the server”. Even the Windows 10 Mail app on my PC has not been picking up any emails from BT since last week. It seems a major problem has occured which BT must sort out. I thought it might be some kind of paranoid security thing! Really annoying! I am abroad and since Saturday I cannot download any of my BT Yahoo accounts. What is going on. I can send messages from these accounts!! I can’t believe how often I’m being asked to sign in to my bt webmail. It just happened again (again)… in the middle of composing an email! This has got to be fixed. What’s going on? No other service behaves like this. Why is it happening? Me too, for about the past week, it’s maddening. The Yahoo search engine has stopped working as well. Same here, in the middle of composing an email! Grrrr! Constant logging in is most annoying!! OTT! Every time I try to retrieve my e mails I get the message that the system is busy. Then it fails. After about 10 mins I can usually connect to my e mails but often unable to delete unwanted messages. Thinking of changing supplier. The latest is that to keep us safe, we now have to sign in every time we want to check e-mails, or if moving to a different website and back again to bt mail. While appreciating the idea, it’s really annoying to do this at such frequent intervals. Possibly the answer to all our problems is to use gmail or other provider instead! Since the 1st December I have been experiencing intermittent “failure to connect”. There is nothing changed on the Outlook client I have been using on either a PC or a Laptop. Neither is there anything changed on the Outlook.com client on an Android phone. And finally – neither is there anything changed on the Web Outlook.com account that aggregates my email from the BT servers. When I contacted BT help – I was told by a “customer service representative” that he would need to be able to take control of my PC over the web – as it was an email client error. I refused to allow this as patently this was not correct and requested to speak with his supervisor. He told me his supervisor had gone home for the day (it was 6 pm) and he could arrange a call from him for the following day. So I agreed – to a call between 11 and 12 the following day. Now you guessed it………… I took another call at 11:50 the following day which meant that sods law…. the call from BT couldn’t get through. They left a message on the answering machine saying that they would call back later……..which they didn’t. Before anyone jumps down my throat, I had the exact same problem about 11 months ago and the ‘customer services representative’ had their way – connected remotely and deleted my Windows mail profile. This resolved the problem for a few hours before it reoccurred but meant that I spent 4 days downloading several thousand emails all over again for three separate devices. Something I’m absolutely not willing to do again. Now – firstly – does anyone know how to complain – given that I pay for this so-called BT Premium email ?? Secondly is there a way to contact the BT technical team – as opposed to a customer services agent – reading from a card and wanting to “take control of my PC” over the web. This is not in any way shape or form an “email client problem”. This is a BT server problem. My wife was unable to send/receive emails through Outlook and on her Android phone from Sunday 3rd to Wednesday 6th Dec. In Outlook box pops up which asks for the password but entering the password does not solve the problem. On the phone she gets a Connection Timeout. Before anybody asks yes the password is correct, because my wife has been using it to log on to webmail, and no the password has not been changed. Yesterday Outlook suddenly started working again but it has gone again today. While using webmail may be the obvious answer it is not a satisfactory solution to the problem because of the way my wife uses Outlook to organise and track emails. We have both had this problem before and it usually sorts itself within a day or two so to be out for four days, back for one and then out again is unusual. Internet searches show that this is a common occurrence for other users. Is no-one able to get to the bottom of this and find a permanent solution? I’ve been on with BT and tried everything including deleting the account in Outlook but the new account won’t connect either with the settings they’ve given me. Mail on my iPad is working but that seems to be using a Yahoo! server. Email on my Sony Xperia Android phone is also not working with the same settings that it and Outlook previously worked with. I’m flummoxed and annoyed, to say the least. Another day wasted!!!!!!!!!! My BT mail states “unable to connect to server” when i try to log in. Reported to BT who phoned back the following day as they were unable to fix straight away. Following day phone call happened and still unable to fix so they promised a call from the level 2 server team. That never happened and i contacted them again, promised a phone call with the hour and that never happened also. Terrible product and terrible service that is far from cheap. BT e mail is very poor at the best of times and difficult to use, expect a lot better from them and certainly expect a better customer care service. This is happening to me all the time now. Only very intermittent access on iPhone, IPad or Outlook for Mac. Been unable to work properly for days. So tired of being told itâ€™s not a BT problem as can access mail on www. Or being patronisingly told I need same password for everything. Canâ€™t be a password problem anyway as it does work for a few hours each day. That is also happening to me via my iPhone and windows laptop. My iPad access is ok but goes via yahoo server. Bt help chat was no use whatsoever! Claimed a client mail issue when clearly it isnâ€™t! Any solutions out there ? My bt mail fails every other day and then is usually down for a good few hours, only when using my iPad or iPhone ?? Keeps saying username or password is incorrect, but i know it is not. Leave it for 6 hours or so and it works again, then a few days later the same?? I am having difficulties sending emails. Even a simple 6 line email with no attachments is taking in excess of 45 mins and for a small business this is totally unacceptable. This has been going on for 3/4 months now but is particularly bad at present. No issues with gmail nor Hotmail. Come on BT sort it please. I am currently having issues with sending emails. Even a short 6 line email with no attachments is taking over 30 mins+ and as a small business this is not acceptable. This has been happening for the past 2 or 3 months now, but seems particularly bad just now. Receiving emails and the general log- in process is fine. Unable to log in to `My Account` on BT, but email works fine. Locks me out though every time I try to check my BT bill, usuage, payment details, etc. This happened last time they had sent me an email warning me of an imminent price increase too…suspect it`s deliberate, so I`ll end up paying a higher price for my package. My btinternet address is dead AGAIN! “incorrect user name or password” message. It awakes with no changes from me for a few days then dies again. I can get webmail, gmail, iCloud mail. BT BB contract etc due for renewal….I doubt it! I have not been able to log in and receive email using either Outlook on my PC or BTInternet.com on the BT website since 1st November. I can get email on my phone as that used the Yahoo server, and ditto somebody at BT has set up a Yahoo mail account for me online so I can get emails that way, but the POP3 server appears to have completely disappeared from the face of the earth meaning I can neither send nor receive using Outlook, which not only has all my contacts, but ten years worth of personal and business email. WTF is BT doing? Do they WANT us all to leave and go to a better provider? can either BT-Yahoo or Apple sort this out, so frustrating. I lost 7 months of emails overnight from both Microsoft outlook and also my BT account. Getting anything out of BT has been an absolute nightmare. Really worried will not get back my missing emails. No email service for 3 days now. Have spent hours I can’t spare talking to ‘helpline ‘staff who don’t have a clue!! Got strange message failed notifications on email day before it went down. Next day couldn’t get in to email account then all my existing messages dissappear. Have lost all my data. After hours spent complaining staff said servers were down. Next day they said they didn’t know what problem was and would get someone “higher up” to call me back. Still waiting for call even though I called them today and asked to make official complaint – was told that it wouldn’t help me!! Come on bt – this is totally unacceptable and demeaning. Can’t wait until I can change providrr@! I have had the same error occur for days now. I was suspicious and wondered if my account had been hacked, because in my inbox I had received numerous messages saying “delivery status notification” and “this message has not been downloaded from the server”. All my old emails say “this message has not been downloaded from the server”, so now I have no details of old messages that I kept for future reference. It has also been very difficult to find this forum. I’ve been looking for days to resolve the issue…. iPhone and iPad unable to receive mail from .btinternet.com. Incorrect address or password. Iâ€™ve not changed either setting on either device. Last mail received Saturday 4th November. Any suggestions for fixing ? I have been onto Yahoo Mail technicians for several hours as I was unable to receive my emails from 5.30 this morning. It’s now 22.19 hours and I find that there is a problem with BT’s servers and it might take another 24 hours to fix. BT message says my email address does not exist although I have used for years. I was told that some accounts have been compromised as they show unusuall activity. My connection with BT Broadband has just been shocking for the past week. Yes – same thing happening to me. Still no new mail in my inbox’s and no contact from BT….but bet they can contact me for sales! ah well my contract is up in December, time to look around again. one of my Bt yahoo mail a/c was stopped …had to reactivate…then went to a screen which said due to suspicious activity i had to change my password…which I did. said accepted…but keeps going back to original screen asking me to change again!…am I alone or does this sound familiar ?? BT server down again all day. There is no online log of problems, or any indication of a time to repair. I guess it is me who is stupid because I continue to put up with this. Time for a change? Free Helpline and Support Staff. 2 e-mail addresses one works and one has not worked for over a week now. BT say they have no record of this email address though I have had it for six years!!! Still not resolved, BT this is not acceptable! I keep receiving the message below. I can’t get passed the first page for yahoo login. The server at register.btinternet.com is taking too long to respond. Bt mail not working on my phone but I can logon to the webmail. Not exactly convenient when you are on the move and no acknowledgement of the problem. Since yesterday evening the only way I can access my mail is through the BT Yahoo webmail page (I thought we were all supposed to be migrated to BT Mail long ago.) Neither the clients on my PC, nor the tablets and smartphone are now acknowledged by the server, even with a new password. I’ve had two separate chats with BT, but to no effect. Yet again, BT server not responding and cannot receive or send email on Iphone. Are we all just talking to the wind or is anybody at BT actually paying attention. The thought of giving up several hours of my life trying to speak to a help desk is not acceptable. Is the service officially down and if so when will it be back up? Come on BT, answers please or are you perfectly content with this ongoing second rate service? Unable to send and receive emails. It would be helpful if BT put up a notice on there Home web page to keep their PAYING customers informed. There is definitely a problem with Bt Email, but have they given notice of it? NO THEY HAVE NOT. BT, if you are reading these posts and if you really care about your customers then KEEP US INFORMED. You idiots. I feel a bit better now, but still angry over the way we are treated. I’ve got the same problem. The odd thing is my iphone is able to send and receive email from btinternet without any problems. I’m unable to send or receive emails with bt account, are but trying to fix the problem or do they just leave us stranded? Unable to receive or send emails with bt account, are bt actually try fix the problem or do they leave us stranded? I can’t get to my email. I log in to email from the bt.home web page and then get a blank screen. Also, cannot connect using Outlook. I’m paying Â£53 a month for this crap. I too cannot access my account x 2 weeks now. Email address and security questions answers not recognized and l know l have given correct details, also friends have sent me messages which they say haven’t bounced back!! For approx 2 weeks now I have not been able to sign into my emails, on I pad or I phone, it says email address wrong , password wrong and recovery phone number wrong, when I know these details are correct. Very fed up of this and need to get into my emails, need help please. I am going to send the CEO, a link to this thread. The CEO of BT, should be utterly ashamed of himself, and should be fired immediately! Over the years, I have visited numerous forums dedicated to the inadequacy of the BT mail service. I remember one thread that had over 10,000 comments. In my book, this is one of the longest running consumer scandals in history. Terrence. I am seriously considering taking legal action against BT. This corporation fails on just about every level. I have had the misfortune of using their abysmal e-mail system for many years. And, it just never gets fixed. 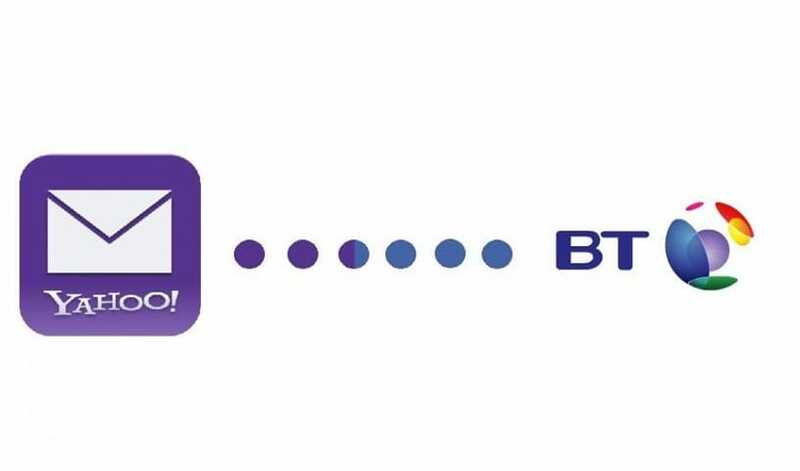 I am amazed BT is still in business and if it wasn’t for their monopoly on the telephone network, they surely would have gone insolvent. Millie. You are absolutely correct. BTYahoo is a disgrace. The consumer services watchdog should fine this bloated corporation for continuing to fail their customers. I am fed up with the terrible service they provide. Actually, it isn’t a service, it is a very bad joke. BTYahoo provides an awful e-mail experience. I have had problems for the last 5 years. My e-mail clients like Outlook & Mozilla Thundebird, on both PC/Mac, keep telling me my password is invalid, when I know it is correct. Proof of this comes from the fact that I can log into the web mail service without issue. However, when I try and send mail, using webmail, it always refuses to send my mail, telling me that my composition is spam. This has happened for the last 5 years. I have never actually been able to send a single webmail e-mail during this period. Then, when I try and contact BT, I get passsed around from one department to another. This issue has been escalated to the highest level without resolution. Dreadful service. I am seriously considering whether to take legal action against this company. BT, you should hang your head in shame! Still cant log in. 5 days now as saying doesnt recognise email address. BT issuing no updates to customers. Effectively hiding the outage. Not impressed. Cost me Â£200 plus already due to lack of access. We have two BT mail accounts with the same problem. Mails are showing as sent but never received. Problem started early this morning. Politely suggested to BT support that we were not the only people affected and my chat was equally politely terminated. My problem was escalated this morning but nothing heard so far and the problem still exists. Hi, is anyone having probs with their outgoing emails not reaching the recipients today, Friday 13th? All jokes aside, every time I send an email it is saying it has been sent, but no one is getting them, including my very irate client, a busy cardiac practice. I am receiving emails fine, but nothing is getting to the recipients going out. In Send, it shows them as sent. Does any one else have difficulty editing with bt email accounts? I find it difficult to cut and paste, spell check etc. When I right click on a piece that I want to edit nothing happens. Also why do you need to keep logging in? I am reluctant to change emails. I have rung customer services and had no joy with them either. This evening- Monday 9th October after 7.00pm approx, I lost access to my btinternet.com account on my iPhone, iPad, AND PC (Windows 10). I was able to access my account through webmail. I was getting message on my iPhone and iPad to the effect my BT username and/or password were NOT recognised by the server. I contacted BT who advised delete and re-enter your account- I had already done this on my iPhone and iPad to no avail…. And did it on my PC- BAD MOVE, as I get a message that the IMAP server “times out”…. BT Help then advised me it was an Apple IOS or Microsoft problem…. Not good…. BUT where to turn to next as I find talking to India difficult as I lost the connection a number of times and the interference has been bad…. Today when I was using my email account some of my inbox disappeared . It reappeared a short while ago and I discovered that all emails prior to 25/09/17 had been lumped together in a folder dated 01/01/70 !!! Now I have to search that folder for my emails. It is bad Branding to put up the price to Â£5 and not provide a better Service – I’ve had my email account for over 15 years now. I can now send – I couldn’t send yesterday and had to resort to gmail for urgent legal documentation. Today I can send (I hope) but nothing has downloaded to my PC or my Android phone – Logs into the server fine, but no mail. Is anyone having problem with sending emails. Since yesterday I have been receiving emails but sending them they sit in outbox. This is both on my Samsung phone and my lenova tablet. I am not in UK but have had no problem up til now. Help! I have exactly the same problem, first noticed yesterday 29th Sept. If I am using an email client app (Apple Mail on either desktop or iPad) I receive emails OK but can’t send – I get a popup saying that my username and password are not recognised and the messages sit in the outbox. As the fault is the same on both devices, it can’t be down to the settings at my end. I can log into BT webmail and both send and receive OK, so the problem only relates to the email client app. Help please! Cannot send via Outlook today. Could yesterday. mail.btinternet.com keeps ignoring me. Logging in via the internet works. Gavin Patterson, you are taking our cash for this “service”, your customer care people don’t seem to know what’s going on, do you? Email service completely down in Croydon since yesterday afternoon. So what’s being done about it? No engineers available until Monday, I’m told. I am trying to send messages to an @btinternet.com address. My last correspondence with the recipient was 12th September. Today my messages are being rejected and marked as ‘possible spam’. I have tried 3 different addresses, all of which are being returned as spam. When I try to contact the postmaster@btinternet.com my message is also rejected as spam. What is going on? I am getting this now on PC and Mac but my iphone continues to get my BT mail as usual. What is going on? Same problem with BT e-mail, user name or password not recognised. I was locked out intemittantly for months from February to April this year. Wrote to the CEO, and was passed to a trouble shooter, nice guy, who finally sorted it, but it took a week. It has started playing up again. I have been told, “the problem is I am a longstanding customer!”. I really am sick of it. My broadband is poor, as is my telephone, I am as far possible from an exchange. Engineers are constantly up poles or down holes, switching local peoples lines around, as one gets fed up and complains. How annoying that new users get good prices, whilst a customer for years gets treated with distain. If BT were building Reliant Robins, they would come with two wheels and a brick. That is the level of BTs product. No wheels and a brick, more like. BT is an utter disgrace. I can’t login to my email via widows phone, iphone and laptop. Tried checking mail via mybt and it says there is no email account that matches these login details. Yes there is! What’s going on? Is it a technical fault or has my account been hacked? Very frustrating. My btopenworld account hasn’t been accessible since Wednesday 24th. I just get an error message saying BT Yahoo is having temporary difficulties and to try later – but its been going on for over 5 days now. I am unable to log into my talk21 email via yahoo, saying account not recognised and then when i try and set it up as a new account it’s saying already have an account – any thoughts? My bt internet e mail has been down since 8am on Wednesday morning. No further forward with receiving e mails. I’m waiting on an important mail but still nothing??? Unable to access my BT Email via the BT website from my work PC today 21 August 2017 never been a problem in the past W H Y !!! I am unable to access the e-mail login page. Don’t even get as far as putting in my user name and password. It has been like this all morning and I have been on live chat to try and get it sorted out but they passed me from one person to another. I eventually got a call but that person was very difficult to understand. She said I had to ring a different number but when I asked her to repeat the number to me, she hung up, or we got cut off. Either way, it didn’t solve my problem. Password and personal details wrong (They aren’t) last time had to spend 40 min on live chat to get it sorted. no email since monday! note receiving any to my personal account on iPhone or iMac but typically my company account is buzzing. Common BT you are meant to be leaders just not acceptable. Ditto to Jess not recognising password or username…..frustating!! Wrong- which they aren’t! Then when try to reset password it’s saying my security data is wrong! Again it isn’t! I can’t send any emails it’s so annoying! Am I going to have to get a different email address after all these years? Soooooo annoying! On Saturday, I was unable to access my @openworld email with BT or My BT account which I have had for well over a decade. The message appeared saying password or user name incorrect; they were not. Reset the password but still unrecognised so rang BT. The contact was very patient and we reset both passwords and the same message appeared. Eventually, having re-set my user name and password for the BT account I was able to log in. I reset my iPad with no problem. I tried to reset my BT mobile but it was not having anything to do with the new password. Went back to the desktop to log in but it again said I had used the wrong username or password! I can assure you I did not….. Tried logging in on as @btinternet and it worked. Will wait a while and try the phone again and if it still does not work will add an @btinternet option. Changed my btmail password yesterday and can no longer receive mails on my iOS devices. BT helpline suggested there was a fault with my iPhone/iPad…… Have tried deleting account and re-adding but each time it says the username or password is invalid which, of course, it is not. Going to have to use an alternative email address which is a pain. Just discovered I can send but not receive emails on my Windows Live Mail, my kindle fire, my iphone and NOT EVEN ON MY BT WEBMAIL! I need it sorted urgently because I’m going on holiday on Sunday and just booked all my accommodation, flights and hire car ….. and am AWAITING all the confirmation emails and my flight BOARDING PASS!!! Sort it out BT. You must be causing a lot of customers a lot of stress and costing them a lot of money .. Tried to contact them but their chat line is closed. UPDATE: So I got through to a chat agent who then phoned my mobile and told me to change my password. That didn’t work so he said he’d escalate it to the next level technical tier who’d call me back within 2hrs. No one did so after 3.5hrs I rang BT. Was on phone for 1hr 40 mins being passed from one level tech to another. Learnt a lot though! That the first chat agent who’d run me, not only HADN’T escalated my issue but also hadn’t even left any notes on my records!!! They said they’d take that up with him. Transferred to another agent who also couldn’t fix it and said she’d escalate to next level up team and I’d get a callback within 48hours!!! Had to fight tooth and nail to get that time reduced to “tomorrow morning” and again to get to speak to her manager … who promised he’s send an email to the Calcutta technical team asking them to ring sooner if poss and that his agent would call me back this morning too to find out if I’d had the call from Calcutta! I did get the Calcutta call this morning who a) had the wrong issue for me so I explained AGAIN what the issue was and what had been tried already. She tried changing my password at that side and it still didn’t work……. but here’s the killer …… they discovered my emails had been hacked!!!! And the hacker had changed my settings to auto forward all email to sashaa@123.com. So that setting has now been deleted and I’ve changed my password again! Also, that because any sent to me (I wasn’t receiving) because instead of going through the BT server to me … was being auto forward to this hacker. The hacker couldn’t actually access them though because he’d have to know not only my password but all the security answers I’ve set up too (I thought whilst speaking to this call they asked me a LOT more security questions than usual). But because they didn’t go through the server to get to me, it also means they can’t retrieve any. So I’ve basically lost forever any emails sent to me in the last two days …. which will mostly be junk anyway. So if, like me, you are able to send bt emails on their webmail but you can’t receive them there …. go to your settings and check the auto forward setting in case the same has happened to you. Once you’ve removed the auto forward tick, it removes the hacker address. Then apply the new settings and change your password again! Oh and they said don’t save your password to autofill! And something about a fake Yahoo email doing the rounds asking you to change your password. Basically, don’t change your password if anyone asks you to by email …. only change it when YOU want to, not when asked. Not sure how the hacker got into my emails in the first place as I have surrounded myself with security and live scanning via McAfee AND Malwarebytes!!! BT said the hacker could have sent me an email with a virus in it so if I opened it (I never click on links within emails – I always go to any suggested url independently rather than use a given link). But they said I didn’t have to use the link …. the fact I read the email was sufficient for a hacker to get in. Anyway, I’ve got my emails back and changed all my passwords on everything and just hope the hacker enjoyed getting my usual 200 crap emails per day for the last 2 days! I’m the same. Just spent an hour online chatting to bt and getting absolutely no where. Can access emails on iPhone after one refresh but get a blank screen off laptop. Btmail has always been slow and intermittent but this is a joke. Ever since the new layout. Changed password as requested to and now can’t access at all, really is a load of crap just lately, anyone else having problems? For the past two days my wife btinternet.com mail isn’t being accepted on Thunderbird. Mine is OK (at the moment)! I can sign her in directly into the BT mail server on-line but it just won’t work on TB which I use for several email addresses. Interesting I got a call today on a Withheld number from ‘Peter’ (of Indian or Asian extraction) who was going to sort our all my email problems saying he was from BT. When I said I didn’t have any problems he just hung up. Sick of these guys. Haven’t been able to receive emails on my laptop all day. I can send them out, though. Have to keep going onto BT Yahoo website to check my mail. Frustrating. Have just installed windows 10 updates on PC . Cannot get lots of things working as before. Eventually got BT mail going through Crome – necessitated a password update/change. All done – all working. However – now this new password is not recognised on my iPhone or iPad – got everything reinstalled but will only work using my old password – new password unrecognised!!!! What is happening ?? ive rang bt twice today..as useful as an ashtray on a motorbike the last drone told me it was my phone a six month old apple iphone ? never any problems until last thursday not able to get emails since very frustrated !!! Still having issues with this now for almost three weeks. I was able to log into the web server but now that’s giving me an error. Mail coming through, but tells me it last updated on 3/11/2016 and that it cannot get mail because the username or password are incorrect (which they aren’t). This has been going on every time I log on to read my mails for the past couple of weeks and I have no idea why but I’m now getting really p****d off with it all. About the mid of June, at the same time, both my ability to access my BT mail through my phone or from the Windows 10 mail app failed. I can still get access to it through a browser on bt.com, but this is so slow I don’t like using it. I have phoned them three times, but no one knows what to do and even though I tell them it is affecting two different apps on two different devices, they insist it is not them and I should get in touch with Microsoft and Samsung. What a load of rubbish. Does anyone know what is going on or how to fix this problem? For the past week the email login page has been blank. Has worked OK for years but now no access to webmail to check spam, I can still get emails using Windows Live Mail app, though. Emails downloading at snails pace and then with ’empty’ content. Hopeless. Just ridiculous can’t load mails at a usable speed on my iPhone yet again. BT Mail not loading through Apple mail server but ok on their own webpage, it’s getting worse every day my btinternet is my main email account and using mobile devices to load it has been terrible for last few weeks! Down here too in Bristol. Give up with BT honestly.. always raising prices and not providing the service you pay for. When you do call them up you are transferred to somebody who doesn’t speak English. Same thing happened to me. At some point BT changed the settings on the my bt site. Your need to go to this site and create a new password. It won’t affect your mail password. You can make them both the same or create a different on for the My BT area. then you’ll be able to get in. I’ve been trying to sign in for a couple of days now and get the message that my email address no longer exists. I rang BT thinking they had restricted my service because I cancelled a direct debit set up some years ago (to keep my bt mail address when I moved to TalkTalk), when I moved back to BT in December, and had accrued Â£15 of ‘debt’ from December – March of this year. I thought this had been addressed in March, but when my mail went down a couple of days ago, rang them again and was told they would ‘credit’ my account in order for the restriction to be lifted, supposedly within 24 hours. I rang again yesterday to be told there had been an outage at their end, and another 24 hours later, don’t know what to believe. I have tried changing my password, but to no avail. How long do these things take to resolve? I have no other broadband issues. Sign in failed again.The last two days no emails. signin1.bt.com took too long to respond. Sending of password for user xxxxxxxxxxx@btinternet.com did not succeed. Mail server mail.btinternet.com responded: Server error – Please try again later. I can’t log into My BT, it keeps going back to the log in page. i need to down load or update the free virus protection. Such a ball ache! I’m having this same problem. The other way of logging in asks you to login using your account nuumber but i cant login to get my account number!! Can receive but not send from email client (Outlook 2016). This is hopeless. Use other accounts to send and will slowly migrate away from btinternet and btopenworld because too many hours spent fiidling with manual setup to no avail. Can’t get onto BT mail. First of all it’s loading data, then system busy. What on earth is going on? I’ve received lots of emails but can’t open them on either iPhone or iPad hope bt are in the process of resolving this problem !!!!??? I use MS Outlook to check my email accounts. Since Saturday I have been unable to log in to my btinternet.com account. None of my settings has changed. BT say it is outlook – rubbish. All other accounts working. Anyone else had same problem? Why can’t I send bt email from my Mac? We’re experiencing a temporary problem with Email and are working to fix it as soon as possible. Please try again later. We were unable to log you in to your email. Please check you are using your correct email password. If you still see this message, please try again later. Don’t know how many times my bt e-mail goes down, it is happening every week what are we paying for?. They never seem to consider payments for the inconvenience. Just renewed my package should have went elsewhere will next time. I can’t sync my bt email since 22nd Feb it still won’t sync or let me retrieve email. I have not been able to sycamore since 22nd Feb either and I keep getting a box on my laptop asking me to verify my password. Very annoying! Some people sending emails to my BT Mail address today are receiving an error message ‘Message Rejected’ and I am not receiving their emails. Is this something I need to address or is it something to do with their server? Load of crap and BT have the audacity to blame Samsung, Outlook (Microsoft) anybody but themselves. The Live Assistance is a complete joke. Changed the passwords and can access email via my laptop but not the phone. Can also access via my iPad but get this, using the old password ????? Can not sign into BT mail, tried to contact BT they havent a clue how to repair the fault. Will definitely be moving to sky once contract has ended. Email address I use is a business email so there goes my business down the pan due to the incompetence of BT. 2-2-2017 UK. Some mail getting through, some not. Things being bounced back. Speaking to someone at Yahoo Care on twitter who keeps insisting that my account is inactive despite the fact that I’ve logged into it TODAY and a couple of emails have got through. ALL THE FACEPALM. Can’t send any emails from bt internet mail but can receive mail! What’s going on?? Have been unable to collect any emails through Outlook 2010 on 2 btinternet.com addresses since this morning. Only answer is to look via webmail access which is tedious. Come on BT, you.ve got enough problems today without upsetting your email customers! It looks like a serious Yahoo Mail outage has had a knock on effect with Yahoo customers in the UK. Yahoo is trying to fix the problem now. Who’s affected by this? Can’t access BT Mail on phone or computer, Wolverhampton. I have not been getting any new emails into my BT mail box which is strange as I usually get many daily this has been going on for weeks now. I also can’t send any BT mails out. I was advised online by BT customer services to change my password which I may add was done for me by BT chap online. I was then able to see mails on BT but I now can’t access my Yahoo account by putting in my usual password why is this! By changing my password on my BT account it has competely blacked out my Yahoo one. Also although I can now see BT online on PC I can’t see them on my iPad, what is going on?!! BT Email having problems again today. Issues on Jan 19 as of 11am UK time. I’m finally leaving BT Mail, it’s so crap in terms of availability I am over the frustration of using it and open to the hassle of moving to another email provider. Sayonara BT shame you can’t offer something so basic on a reliable basis – and I’ve been a customer for a good 15 years. “There may be a problem with the mail server or network. Verify the settings for account â€œHomeâ€ or try again. I am having the same problem & it’s very inconvenient. I can log on to my BT/Yahoo account on my PC (Windows 7) via Firefox, but not open or delete emails. It has been going on for several days. My email is OK on android, but not on Firefox on my PC. I can open emails with Internet Explorer on my PC, but this does generate a security warning which makes me anxious. I can’t see an email address for BT to report this problem. If anyone knows the appropriate email address, please let me know. I share you issue and frustration; the problem seems to come and go – but more problem than not. I struggle to work out who I can get to identify the problem. I used the complaints desk earlier – they gave me some advice and I got the email working – but now, having logged off for a while I return to the same problem. Can receive emails but can’t open or edit them. It is very hit and miss. btmail.bt.com took too long to respond. Haven’t been able to get into my BT Mail in Cornwall for the last hour – “Site Can’t Be Reached”. Wonder if it’s to do with Black Friday and all the e-mail confirmations of purchases? Can get into everything else OK including BT.com. Whatever i touch on BT yahoo mail whether i am clicking onto a message, deleting a message or just logging onto the service, i get a “System busy loading date” message. It lasts for a good few seconds but i am getting so fed up with it day after day. The service should be instant. Call Now :(44)8081433686 Toll Free Helpline. Whenever I try to collect or send emails I keep getting asked for my password and then it is not recognised. I have tried all the usual problem solving methods to no avail. I thought the problem was in my computer until I heard that other people are experiencing difficulties, including the National Trust. is anyone else having problems getting emails into their bt account.I have just received an email sent to me on 10th october 2015,and the other day an email took 4 days to reach my in box.is this normal practice for bt. I have not received any emails on my bt account today. I know I should have because I have purchased 4 items online and should get automatic confirmation of purchase. Whats goingon BT? There’s another BT Mail outage, September 1.. lots of users having disrupted service. Not an ideal way to start the month is it BT? I am advised that my email is btmail not btyahoo but it keeps logging me into btyahoo irrespective of method I use to login via my account or directly. This means I am unable to manage features of btmail which are not available in btyahoo such as turning off forwarding. The unhelpful Craig in BT South Wales said he wasn’t trained and while there were people who did know he couldn’t put me onto anyone but I should figure it out myself by using google as I had set it up! This ignores the fact that I am unable to login to btmail as it puts me into btyahoo which doesn’t have this feature! BT are only now acknowledging it on Twitter.. this is ridiculous! BT Yahoo Mail once again having big issues today. Anyone else can’t access email August 24? I have recently been unable to access BT email. I kept getting a message there was a temporary fault. After 4 days I thought to try a different web browser. Comodo Dragon logged me in with no difficulties. The trouble for me seems to be with the Microsoft edge browser which came with the free Win 10 upgrade I eventually felt obliged to opt for. So – if you are having prolonged difficulty in logging in, it might be worth trying a different browser to Microsoft’s latest. I am in Warwickshire and this afternoon I was unable to send photos attached to an email. Then tried logging in and had problems there and asked to reset password resulting in the loop problem. It would not accept my email address telling me silly things like no @ and no p when they were quite clearly there. Hope they sort the problem out soon. My email recipients get my mail with the whole load of mailer-daemon failure headers attached. Then when they email me it appears to bounce back with another failure notice. This has been happening for three weeks now. It is affecting my business as people are no longer bothering to email me. I’ve complained to BT both on the phone and email complaint. Has any one found a solution to this, please? Complaint registered 1 August. Email still down. Yahoo Backroom team told BT email team that problem fixed, it has not. Not allowed to give me the name of the email team supervisor. Customers cannot speak to Yahoo backroom team. Complete waste of my time for weeks, very angry. 16 August – problem still not resolved! My wife’s email has been down now for 6 days. BT says yes there is a problem affecting hundreds of users. Can’t login, keep being told to reset password, and go into endless loop of resetting password and then being rejected again. BT promised to ring back after 6 hours. Told us then they would bring back today (48 hours later). They rang today to say they cannot fix it yet and the next update will be one week from now. Cannot speak to a supervisor, as they are all busy for next 7 days! My son’s sub-account also blocked with same behaviour, and he can get nothing from BT either. This is disgraceful customer service. We all rely on email and to lose it for nearly a week and being told to wait another week is unbelievable. Been having trouble with BT email for over a month, with no action from BT. found the following web site with BT contact details. Emailed BT Chair – within 3hours Action!!! However, fault taking time to be cleared being kept updated by UK based staff. big problem for me now,do not know how to resolve this one. bt have been useless other that to waste my time. I registered a complaint on 1 August as I was unable to access my emails, its now 16 August and I still have no emails. I was told I am one of a few long-time BT customers who started off with Yahoo mail. The problem is being dealt with by Yahoo and not BT! BT Email department told me “the people of the Yahoo department are limited in numbers and extremely busy with issues”… constant buck passing … will I ever get access to my emails back!!??? Disgraceful. My email has been out for over 3 weeks now. First week I was abroad and didn’t call BT, but since I have, were now two weeks on and no nearer a resolution. They give no confidence whatsoever that they know what they are doing. Either that or they are completely overwhelmed with volumes of similar problems and they are just obfuscating when we do speak. Think I will leave following this episode of appalling lack of service and support, and once I do that, I will certainly seek another broadband supplier. I have been having problem with BT Yahoo mail for well over a year. I use my home desktop (Windows and POP) and an iPhone and MAC while travelling. I’m constantly having login problems as your service thinks its unusual attempts and blocks me. Sorry but its become such a hassle that I’m planning to leave . Why oh why BT has this become such a problem! The only answer I think is to set up an autoforward to another email address through another provider and slowly change all my email contacts and then just allow my btinternet.com address to die! I have been trying to connect to BT mail for two days now!…when i try to log in, it says that my details are not correct!, even though i have used them for years! I don’t normally mind when there is a glitch in the system, but BT always seems to let me down when i need it most!!! These comments explain why I have had the “too many attempts to login” nonsense all this week. They also give me no confidence that anyone there can fix it for me or that BT will release news of it being fixed. What now? change supplier or suffer indefinitely? Unable to use BT webmail, just get empty pages after logging on. Anyone else? I do hope you were able to get the phone # for BT’s CEO what a great idea, especially calling at 2 a.m! I fear that the culprit may actually be Microsoft at the end of the day. We are in the U.S. and for the past few weeks Hotmail was very unstable, then finally over a week ago, we couldn’t download Hotmail at all. It looks very much like it might be down to a Microsoft update/s that has wreaked havoc with everyone’s email worldwide. Naturally, there has been NO notification or comments whatsoever from Microsoft! BT Email service appears to be not working properly. Trying to compose & send an Email, but it won’t save the Email, nor will it send it. It keeps giving me error messages all the time! On the day they announce a 200% increase in the cost of using Premium Email, their (non) service crashes with no announcements! absolutely today I get told that the cost of my email is going up by 3 times the original fee and then they crash the site and I cant use the email service for the past 5 hours,wheres busby when you need him !!!! Loads of problems for last hour, I can confirm BT login is down in London. Also phoned friends in kent with a similar problem. can’t login either, it just seems like nothing happens. BT email is down directly when trying to login on the official page. I don’t usually have issues with bt webmail – however, when I do have issues, these have usually been with logging in and I have found that if I cannot login with my laptop, I can login using my phone, or vice versa. However, today I cannot login with either – yahoo.com shows the mail icon and shows that I have new mail waiting. Click on the link however does not show my email inbox as it usually would, the page instead times out. Same issue with logging in via the BT website – I can get the login page but after that, the page times out (This site cant be reached login.yahoo.com too long to respond). Anyone having the same issues? Started having login problems just before Xmas. BT operatives in India changed all of my machine settings and mucked it up so it didn’t work at all for over a week. IT geek friend sorted my machine for me and the login issues seemed to have been fixed. Not so. Now having worse problems with email login dropping out every 35-40 mins – with message that multiple logins detected please change password. Duly change password and reset devices but 40 mins and out it goes again. Phone them and every level spoken to does exactly what I have done and tell me it’s fixed even though I tell them it will drop out in 40 mins again (which it does). Now told that the emails are on Yahoo and are being transferred. Initially told 2-5 days from last Friday but still nothing. Phoned again and told my email is in the queue for transfer. Timescale? Could be anytime. Totally and absolutely cheesed off and appalled by this abysmal service – and paying through the nose for it to boot!!!! BT email isn’t working on my iPad, iPhone or desktop computer. Guess the have some sort of outage today. Loads of BT email problems today, Sept 10 2015 in the UK. BT emails still not working, not able to receive anything for last hour. Maidstone, Kent. I got access, but my account isn’t working due to not receiving emails this evening. Once again, problems in southern Highlands with BT email. BT email down in north Hampshire. saying my password is incorrect too, in Kent and Thanet. I keep getting incorrect password messages when trying to sign in to my BT email through the online page, although the email clients on my iPhone and Mac Mail don’t have a problem. My my bt email account is not working, I wanted to know if this is my side or others have issues today?